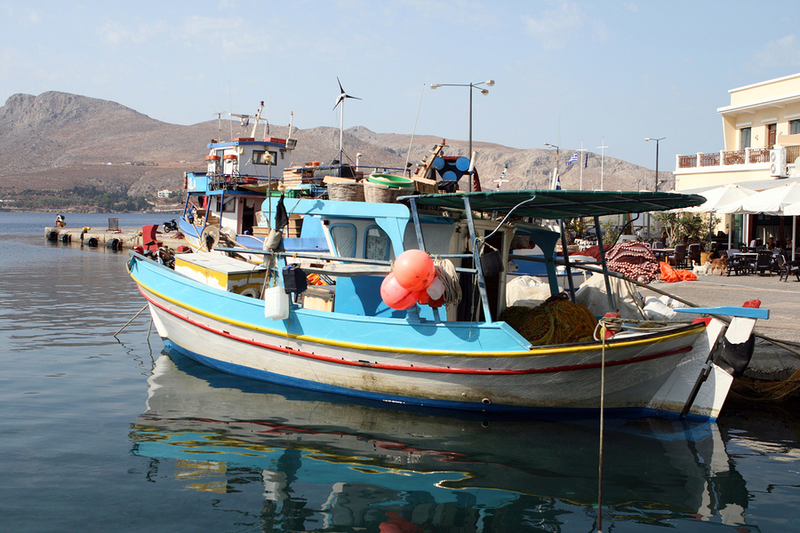 Part of the Greek Dodecanese Island Chain, Leros should be part of every crewed yacht charter itinerary when cruising through the Greek Dodecanese Islands. Located just off of the coast of Turkey, the Greek Dodecanese Islands are a great group of islands to cruise through while on a crewed yacht charter and ports in Turkey can be included as well. Whatever the itinerary choice, Leros, tucked under the Dodecanese Island of Patmos, and north of Kalymnos, is a great island to visit while on a crewed yacht charter including the Greek Dodecanese Islands. 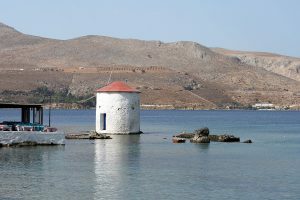 The past history of Leros followed along a similar course as the other Greek Dodecanese Islands in the area, with Greek, Roman, and then Byzantine rulers overseeing the island in various time periods. The historic highlight of the island, as far as the architectural traces left today, were left during the medieval ages, when the crusader castle of St. John was built on the island in the early 1300’s, which is still standing today. The island of Leros was lost to the Ottoman Empire when the Knights of St. John lost Rhodes, until the Greek Revolution in 1821. 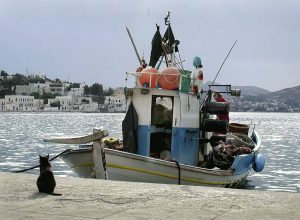 During World War II, Leros was used by the Italians and Germans due to the large number of natural harbors around the island and of all of the Greek Islands today, Leros suffered through World War II activity including bombings second only to Crete. After WWII, Leros was used as a prison island, and closed to visitors until the early 1970’s. 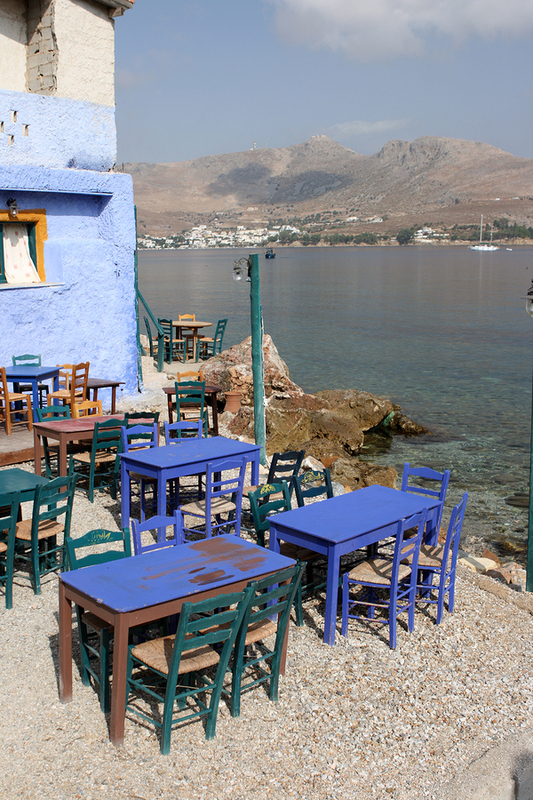 Today, visiting Leros offers a glimpse at a very traditional Greek Island captured in time and unchanged by tourism. 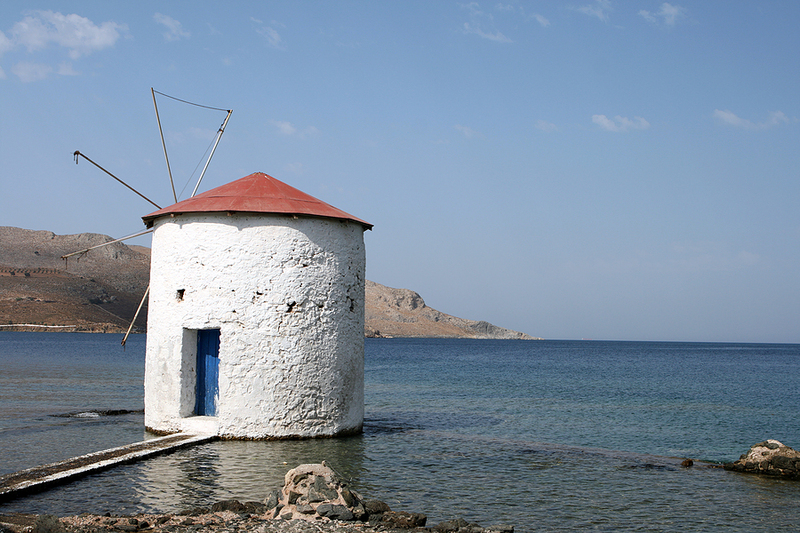 Filled with windmills, Leros has the look and feel of a very traditional Greek Island. However, it is the medieval castle built by the Knights of St. John on the hill overlooking the little village of Pandeli, that has become the signature today of the island of Leros. Now known as the Castle of Pandeli, with the current structure largely built during the early 1300’s, the castle was actually built on the site of an ancient acropolis, which then became the Monastery of Agios Ioannis Theologos, before being reinforced and built into a fortress castle by the Knights of St. John. The castle over the centuries has sustained significant damage, especially during the booming in WWII, however today there are walls on three sides along with a church still standing. Access the castle by a walk up of around 400 steps from the village of Pandeli. That which made Leros a sought after location for anchoring warships, which is the large number of coves and anchorages around the island, today offers numerous anchorages for visiting charter yachts. Along with the numerous coves are a large number of beaches. Leros is an island where you can hide in your own little anchorage and have your own little beach or join others in a larger cove, and beach area. There are several archeological, historic and folklore museums on the island and as a tip of the hat to the WWII history, in 2005, the War Museum of Leros was opened in a tunnel built during the Italian occupation of the island in the early part of WWII. Given the various occupations of the island over the years for various purposes, a strong roadway system was established on Leros, and today, unlike a number of the Greek islands, many of the inhabitants of Leros live and work on the island year around, rather than visiting the island just for the summer months. This gives Leros a strong local and community life, with numerous bars, restaurants and night clubs for evening entertainment. 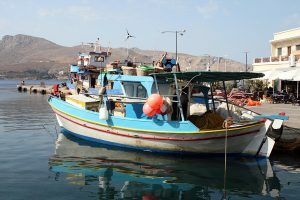 However still, Leros should not be considered a resort island and should be thought of more a location to relax and enjoy Greek Island life, as the local residents do. Leros is a very green island and with the huge number of anchorages and coves in the very indented shoreline around the island, it would be your choice whether to hide away from it all, or enjoy the unique feel of Leros Island ashore while visiting on a crewed yacht charter.